If you live in Canada then you are aware of the cold winter temperatures and driving conditions on icy roads. For safe and comfortable winter drives you would need winter tires to keep you going through all the ice and snow. It is important to strike the right balance between handling and traction in winter conditions. The winter tires work like magic on icy slippery roads due to their premium rubber blend compounds, construction, and tread design. No doubt, most tire companies would have winter tires in their catalog to appeal to sedans and high-performance SUVs alike. The winter tires also do sell out fast and it is wise to get your best bargain when the mercury starts to drop. Once you see your breath in the crisp icy air, it is time to fit your winter tires! 2 Is It Mandatory To Use Winter Tires In Canada? The harsh reality of Canadian winters is that the ice, snow, black ice and slush could play havoc while driving in varying road conditions. When you are shopping for winter tires then you may look for the familiar Alpine pictograph on the tire sidewall. This denotes that the tires have passed the test by Transport Canada to drive in typical Canadian winters. So, you may also be assured that these tires meet the Tire & Rubber Association of Canada requirements for traction. Also, when you install winter tires in Canada, get a set of 4 for safer and confident handling during winter driving. There are so many types of winter tires in the market that leaves you confused as to which one to choose. Well, you may check out some of the top picks for 2017 as below. Though very affordable, the Altimax Arctic from General tires have sipes for great traction. This works equally well in cold and wet wintry weather as they have multi-angle at 270 degrees. These tires also resist hydroplaning well and evacuate water faster to avoid skidding on slush. These winter tires from Yokohama suits dry, wet and icy road conditions due to triple action compounds. The sipes have 3D biting edges for improved traction and road contact is optimum due to the large control blocks. Silica compound channels away water faster for better traction in wet conditions. Lateral grooves give better control over watery slippery surfaces with snow. X-Ice Xi13 by Michelin is a sure winner when you fit them on your minivans and passenger cars. The cross Z pattern of sipes offers great traction on ice and snow. 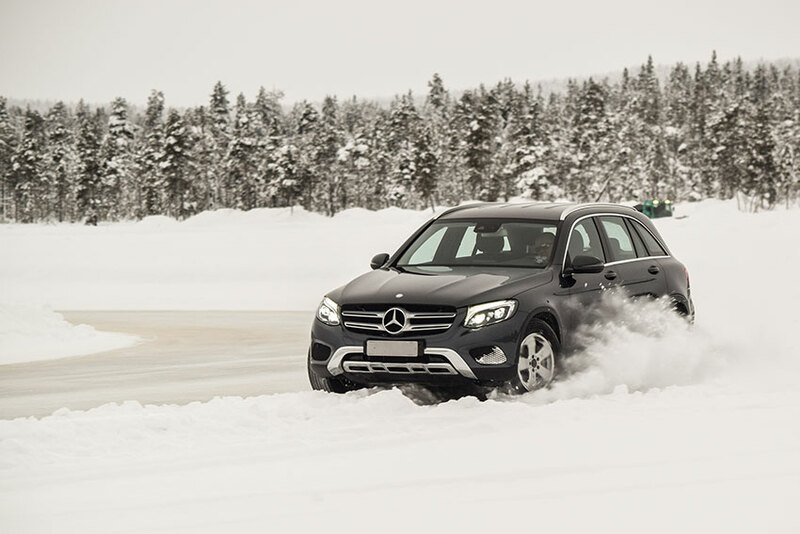 These tires boast of durable winter performance for over 60000 km. The unique tread pattern increases life and maximizes contact for better grip. Even in freezing temperatures, these tires won’t fail you in flexibility from start to end of winter season. An affordable winter tire from Goodyear, the Ultra Grip Winter fits SUVs, cars, and minivans. Shorter stopping, strong grip and improved traction in slippery winter conditions are highlights of these tires. Even tread wear gives you handling confidence due to sturdy shoulder blocks. You may fit these with studs for better winter traction. The biting edges of these tires offer grip on multiple surfaces even when the roads are icy with great ride comfort. You may fit these winter tires on your sedan, minivan, coupe or crossover and it will work equally well. The compounds used in the construction have many additives to enhance pliability and reliability in freezing weather. This suits handling in hotter and dryer temperatures too. These have edges placed dimensionally to bite on snow and also have the indicator to check tread depth for safety in snow. The Blizzak WS80 by Bridgestone is one of the leading winter tires in Canadian markets. It has a great balance of stop and go traction that is necessary for winter conditions. The handling and comfort in the ride are far better than other brands. These tires have new cavity shape that allows for uniform contact pressure on icy and snowy roads. The hydrophilic covering makes stopping on ice and snow effective. These winter tires from Falken perform consistently in winter conditions when other tires give up. They contain compounds that extend the tread life and will not fail you as an investment compared to its competitors. The driving control on dry and wet roads does remain consistent due to asymmetric treads. You may fit these winter tires on you coupes, sedans and wagons. If you don’t go by the looks, these tires are surely a grab for winter road conditions. These have studs that are anchored for excellent grip and at the same time there is soft impact to outlast the cushion. The rear tread has saw tooth pattern the bites deep into thick snow and ice. You may get faster steering response with these tires as they have additional center reinforcement. For light trucks, SUVs, and CUVs you may choose the Blizzak DM-V2 from Bridgestone for enhanced braking power and grip in snow. These have 15% more block edges to improve control on slippery surfaces. With more ground contact you are able to control your vehicle easily. Multicell compound that has hydrophilic coating gives better traction on snow and ice. These winter tires from Michelin suit sports utility and crossover vehicles for enhanced performance. They have a limited warranty of 6 years. The cornering traction, braking power, and speeding are great due to the wide contact tread area. Whether there is ice, snow, slush or the road is dry or wet, these tires remain flexible. Precision and technology render these winter tires noiseless and durable. Is It Mandatory To Use Winter Tires In Canada? While not all provinces have mandatory winter tire laws, there are a few provinces that have made it the law. Quebec was the first province in 2008 to mandate the use of winter tires for passenger vehicles from Dec 15th to Mar 15th. This also included taxis and very much reduced collisions by 17% and injury by 36%. Studded tires may be used from Oct 15 to May 1 if you use them on both the axle ends. In British Columbia, there are specific rules for using winter tires, tire chains, and studded tires. You have to use tire chains or winter tires as per law in certain areas from Oct 1st to Apr 30th every year or else you may pay a penalty. At the same time, you may also use studs on tires up to 3.5 mm only for vehicles weighing less than 4600 kg or 10000 pounds. About 30 studs per tire or total of 130 studs may be the maximum limit and you may use them not just in the front but also on rear wheels. There are no restrictions on using studded tires in the above territories and provinces and you may not incur a fine. In Manitoba, you may use studded tires from Oct 1st to Apr 30th. In early 2014, the Manitoba Public Insurance also started a low-interest loan program for winter tires. Though not mandatory, this tire loan program has encouraged many motorists in Manitoba to use winter tires for safety in icy weather. You may use studded winter tires in Ontario, between Sep 1st and May 31st in the northern area only. These include Cochrane, Algoma, Kenora, Nipissing, Manitoulin, Rainy River, Sudbury, Parry Sound, Temiskaming and Thunder Bay. If you use studded winter tires in other southern areas then you may pay a fine. If you are traveling from another province then you may use studded tires for up to 1 month in Ontario. That too only lightweight studs made in Scandinavia. You may use studded winter tires in New Brunswick from Oct 15 to May 1 every year. However, the province mandated the use of winter tires only for school buses during this time. In Nova Scotia, you may use studded winter tires from Oct 15th to May 31st. They also cannot have a diameter of more than ½ an inch or be longer than ⅛ of an inch from the tire base. A total of 130 studs may be used for vehicles weighing less than 4600 kg. It is allowed to use studded winter tires in Prince Edward Island from Oct 1st to May 31st but is not mandatory. You may fit studded winter tires In Newfoundland, from Oct 31st to May 1st but is not required as per law. In Ontario, the province mandated that all private auto insurers must give discounts to policyholders who purchase and install winter tires, effective Jan 1st, 2016. So, as soon as the temperatures drop to 7° Celsius you must install winter tires from Nov to April every year to avail this discount. The rate of winter tire discount may vary with each insurance company. At an average, most insurance companies offer anywhere from 2% to 5% discount for installing approved winter tires. They may not need purchase receipts but it is a good idea to keep the documents as in the event of a claim they may check that you did indeed have winter tires. Winter tires are made of specific tread pattern and compound that allows for comfortable and safe winter driving. At temperatures below 7°C, winter tires are made to stick to asphalt to improve handling, braking, and speeding. A blend of rubber with oil, silica and other compounds prevents the winter tires from getting too brittle or hard in freezing temperatures. The glass transition temperature of winter tires makes them suitable for driving in extremely cold weather. The winter tires have many small blocks to bite into icy roads and the tire grooves channel away water to avoid skidding. There are sipes in these tires that are small slits that open on road contact to give more grip. They may also have tiny holes called micro pumps alongside to pick up water with contact. These grooves are capable of picking up a thin layer of icy water to avoid hydroplaning or when the asphalt is wet. Install a set of 4 matching winter tires. Do not change just the front wheel tires if your car has a front wheel drive train. Try not to combine different brands of tires as they may have variable tread sizes, patterns, and grooves etc. This may not be optimum for the handling, traction, and performance in winter conditions. When you notice that the tires are worn out and almost near the indicators for tread wear then replace those tires. Make a habit to check the air pressure of the winter tires at least once in a month. Just because you purchased winter tires does not mean that you continue to use them all the time. Winter tires are not meant to be used all year round as they have softer rubber. These tires have a tread pattern that opens so if you use them all the time then they wear out fast. Warmer temperatures do not suit winter tires due to the technology and designing. On dry warm pavements, the winter tires wear out faster and have less tread life. Moreover, in certain Canadian provinces if you use winter tires all year round then you may even pay a fine. When temperatures dip below 7°C you may consider replacing your tires with winter tires. This will give you good traction, handling, and braking in cold driving conditions. These tires perform great in snowy, icy weather and dry pavement equally well. It is vital that you install a set of 4 winter tires so that you maintain good stability and control. Your drive is safe, comfortable and confident when you have winter tires right from the start of the season until the end. Some provinces have mandated the use of winter tires specifically during winter months. So, you have no option but to replace your tires and avoid paying a heavy penalty. Have you ever struggled to stop short of skidding while braking or cornering and cursed why ever you did not fit winter tires? Yes, it does seem like a task to most of us to fit winter tires every year. But from a safety perspective, it could make the difference between life and death. The braking, acceleration, cornering, stopping in ice, snow, and slush is safe and optimum with winter tires. Summer tires cannot withstand mercury dipping below 7 degrees and start to become hard and by -10 degree they are stiff. However, even at -40 degrees, winter tires are flexible and perform great on icy roads. This is due to the compound, tread pattern, grooves amongst other features that reduce elasticity and improves sturdiness. Most winter tires could reduce the overall gas mileage. Other factors may also influence the gas mileage of your vehicle. These include speed, age, and condition, temperature, acceleration capacity, drivetrain, accessories, weather, road and traffic conditions etc. Winter tires may not always give an impressive gas mileage but certain premium quality tires may offer you some relief. The squirmier and deeper tread pattern of winter tires compared to summer or all-season tires do give less fuel mpg. Since winter tires have increased resistance during rolling, it could also reduce the fuel mileage. Once you have seen the last of the snowflakes, it is time to safely put away your winter tires; you may get another season out of them. Clean the winter tires before storing them so that all the road gunk and grime comes off. You may use automotive soap and water to clean them to prevent damage in storage. After you have cleaned and dried the winter tires you may store them in a cool, dark and dry room with no humidity. Storing them outdoors is a no-no even if you protect them with covering. Ensure that the room temperatures where you store the winter tires are normal and not too hot. Try to avoid direct sunlight contact with the winter tires to protect the physical aspects of the tires and keep them intact. Do not keep them near solvents, lubricants, fuels or other chemicals that may spill on them. You may prevent cracking of winter tires by not squeezing them into tight spaces under pressure. Invest in a set of large storage bags as it will shield the winter tires from ozone that may dry out the rubber compounds. For the same reason, you may also not let your winter tires make friends with any motorized device in the storage room.